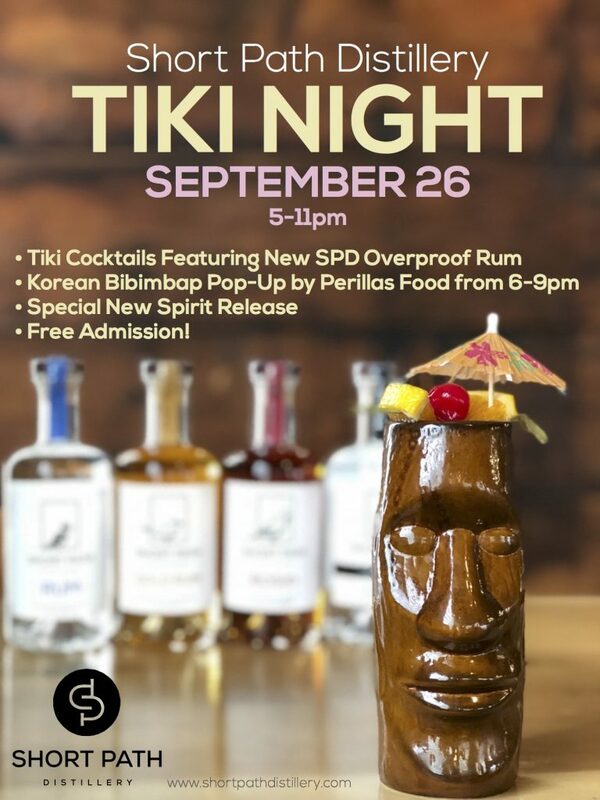 Join us as we launch our first ever Tiki Night on Wednesday, September 26 from 5-11pm. The event will feature specialty tiki cocktails like the Zombie #71: A delicious concoction that includes all four of Short Path Rums. We’ll have a food pop-up by Perillas from 6-9pm. Perillas is a fast-casual Korean Bibimbap Restaurant that wants to share bold, authentic Korean flavors with the world. Bibimbap (literally means “mixed rice”) is a traditional Korean dish and a great entry into Korean food for first-timers. To add to the excitement, we’re releasing a special new spirit! Want to know what it is? Come get your tiki on.